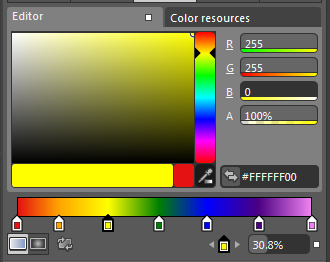 A gradient fill can have a number of different stops—positions within the gradient that should take on a color value that you specify. 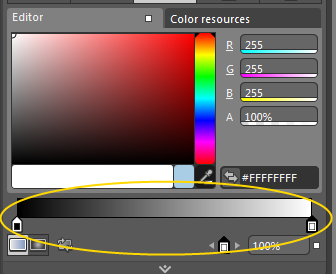 To add or remove stops for a gradient, start by selecting the control containing a property that you’ll set to a gradient. (E.g. The Background property of a Label). 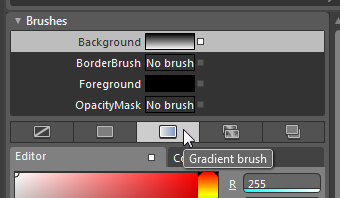 In the Brushes area of the Properties panel, click the icon for a Gradient brush. 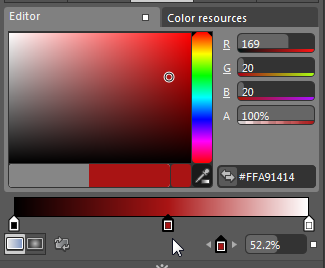 Now we have a gradient with two gradient stops, going from all black at the top of the control to all white at the bottom. 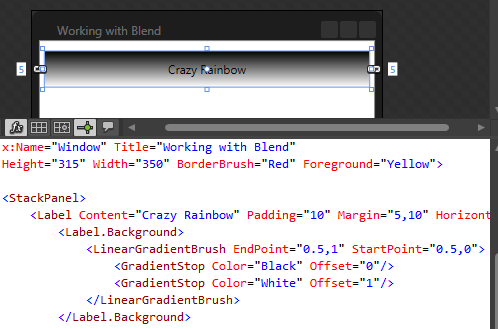 You can click anywhere within the gradient line to add a gradient stop. 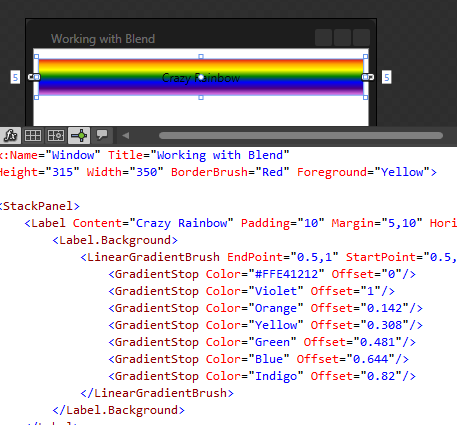 Once added, click on the gradient that you want to change and then select a color for the gradient on the color palette. 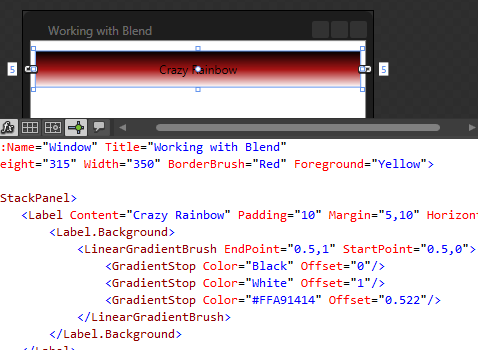 We can continue adding as many gradient stops as we like.